Jadon and Anias McDonald, 13-month-old twins, were successfully separated at 2:15 a.m. Friday, according to a spokeswoman for Montefiore Medical Center. The mother of a set of conjoined twins who were attached at the head says they have been successfully separated following a procedure at a New York City Hospital. Nicole McDonald wrote in a Friday morning Facebook post that her 13-month-old sons, Jadon and Anias, were separated following 20 hours of surgery at the Montefiore Medical Center Children's Hospital in the Bronx. Dr. James Goodrich, who led the surgery, informed Nicole and her husband Christian McDonald, at 3 a.m. that their sons were two healthy individuals. A spokeswoman for Montefiore Hospital said the twins are in recovery at the Pediatric Critical Care Unit at the Children's Hospital. The McDonalds were relieved after spending days agonizing over their decision to go ahead with the risky surgery, which could potentially have ended in death or long-term brain damage for one or both boys. In a Facebook post, Nicole describes the atmosphere as "one of celebration mixed with uncertainty." She says Jadon did better than Anias during the procedure, adding that doctors predict he may not be able to move part of his body at first. "We are standing on the brink of a vast unknown," she wrote. "We just took a huge leap of faith, but now we are back to taking baby steps." 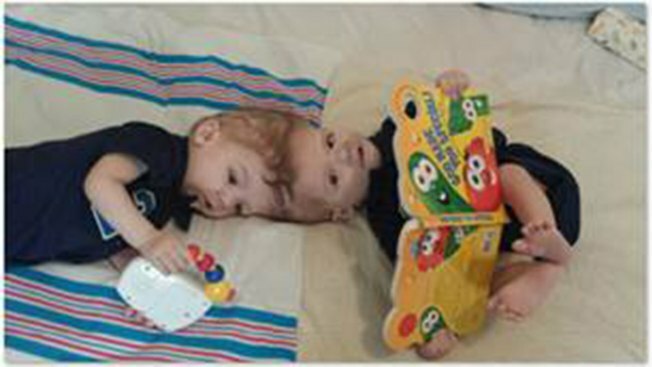 Jadon and Anias have defied the odds: only 2 percent of twins are born conjoined at the head, and the overall survival rate of conjoined twins is between 5 and 25 percent, according to the University of Maryland Medical Center. Despite her feelings of anxiety, Nicole McDonald is optimistic that her sons, now two separate babies, will recover slowly but surely. "I'm pretty sure that I'm still frozen in space and time ... in the smiles of yesterday morning. I'll be hanging out there until I see those smiles again." Goodrich is considered to be the leading expert on craniopagus surgery, the procedure done to separate twins conjoined at the head. It was his seventh surgery in 12 years and only the 59th craniopagus separation surgery in the world since 1952. Formerly conjoined twins are marking 10 years since the surgery that would change their lives forever. 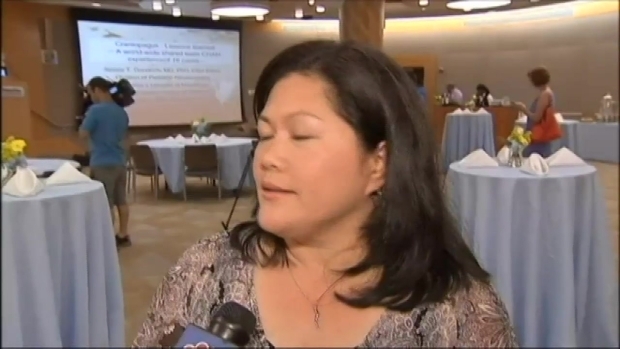 Roseanne Colletti has more.